You MUST NOT leave a parked vehicle unattended with the engine running or leave a vehicle engine running unnecessarily while that vehicle is stationary on a public road. Generally, if the vehicle is stationary and is likely to remain so for more than a couple of minutes, you should apply the parking brake and switch off the engine to reduce emissions and noise pollution. However it is permissible to leave the engine running if the vehicle is stationary in traffic or for diagnosing faults. 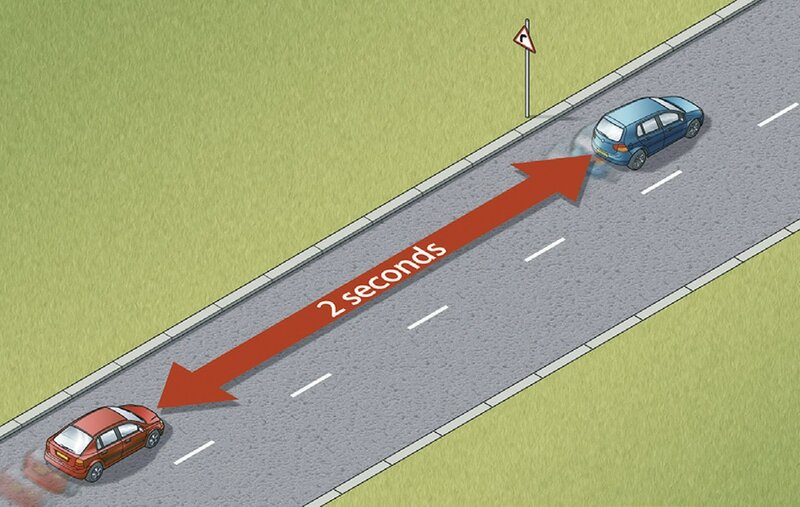 You MUST NOT exceed the maximum speed limits for the road and for your vehicle (see the table below). The presence of street lights generally means that there is a 30 mph (48 km/h) speed limit unless otherwise specified.